Note: This document is also available in the following languages (PDFs). A technical description of the results (in English) along with a full list of presented analyses can be found here. The CMS Collaboration at CERN is presenting a range of new physics results at the EPS-HEP conference in Vienna, Austria between 22 and 29 July 2015. The results will include the first analyses with the “LHC Run 2” data (13 TeV centre-of-mass energy, collected since June 2015) as well as more than 30 new analyses performed on the “Run 1” dataset (7 and 8 TeV, collected in 2011 and 2012 respectively). Below are summaries of some of the analyses shown at the conference. The highlight for CMS is the first physics result from the LHC using 13TeV data: the measurement of the number and trajectories of charged hadrons produced in the proton collisions. This is usually one of the first measurements performed at hadron colliders at the start of exploration at a new energy regime. Because protons are not elementary – they are made of quarks and gluons – when two protons collide at high energies it is actually the quarks and gluons inside them that interact. So every proton collision produces a spray of charged hadrons, such as pions and kaons, flying in all directions. The number of these particles depends on the collision energy – the greater the energy, the higher the number of produced particles. 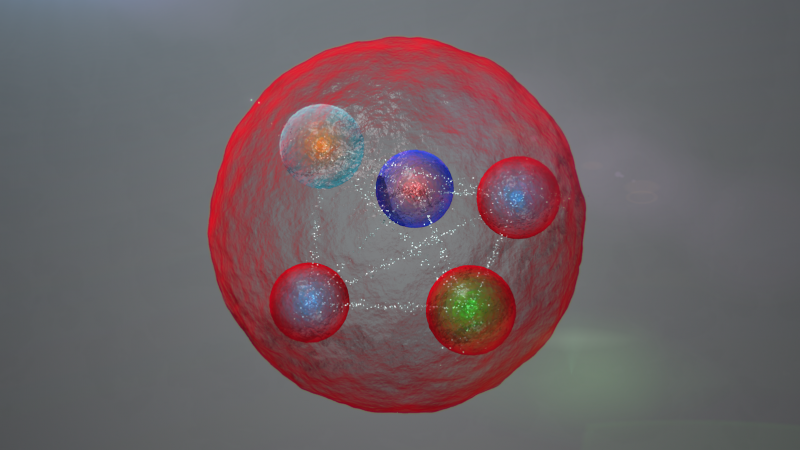 It is therefore important to determine precisely how many charged hadrons are produced at the new collision energy of the LHC in order to make sure that the theoretical models used in simulations are accurate. The CMS Tracker is responsible for determining the trajectories of charged hadrons and is used to perform this measurement, which involved a few hundred thousand collisions recorded at zero magnetic field. The CMS measurement is well described by the theoretical models and will help accurately determine the “background” levels in the searches for new physics at 13 TeV. DETAILS: CMS measured the differential multiplicity distribution of charged hadrons (dN/dη) for pseudorapidity less than 2, as shown in Figure 1. In particular, the measurement in the mid-rapidity range (|η|<0.5) was 5.49 ± 0.01 (stat.) ± 0.17 (syst.) per collision. The Letter with the result was submitted to Physics Letters B on 21 July and the pre-print can be found at https://cds.cern.ch/record/2036310/. An important test of the CMS detector’s performance at 13 TeV lies in its ability to observe known particles. 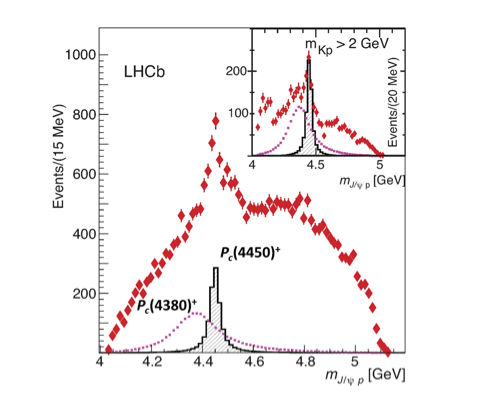 Figure 2 is a mass histogram of pairs of muons produced from proton collisions in the CMS detector, clearly showing peaks in the data corresponding to particles ranging from the omega meson (ω) to the Z boson. The particles in this spectrum were originally discovered over several decades but it took CMS just weeks to observe them all at 13 TeV. Details about the CMS performance studies can be found at https://twiki.cern.ch/twiki/bin/view/CMSPublic/PublicPlotsEPS2015. Several processes in the 13TeV data have been studied in some detail. One highlight of this effort is a first look at the di-jet invariant-mass spectrum up to approximately 5 TeV (Figure 3), demonstrating the readiness of CMS for new physics at these high energies. CMS continues to perform physics analysis on the “Run 1” data collected at 7 and 8 TeV, with more than 30 new results approved recently for the EPS-HEP conference. These include measurements of the two-photon production of W-boson pairs (FSQ-13-008), the production rates for particle jets at 2.76 TeV compared to 8 TeV (SMP-14-017), the production of two photons along with jets (SMP-14-021) and electroweak production of a W boson with two jets (SMP-13-012). 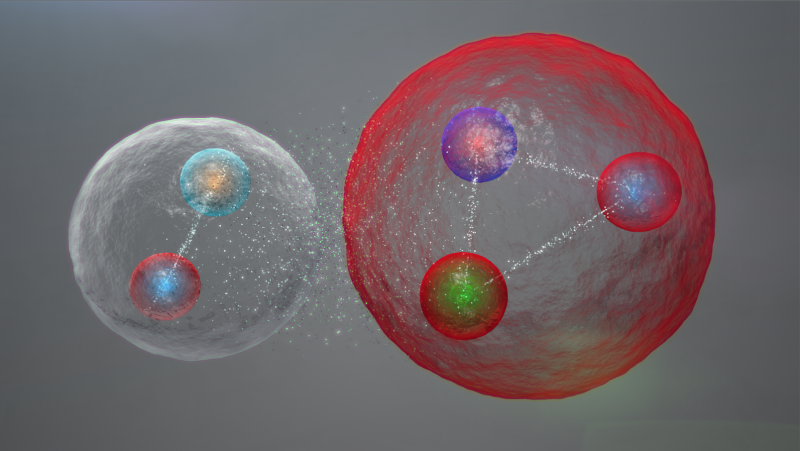 Discovered over two decades ago, the top quark continues to play a vital role in physics analysis for both measurements and searches. New CMS results with this fermion include measurements of the top-antitop production rates in the fully hadronic sample (TOP-14-018) and a measurement of the top-antitop+bottom-antibottom process in the lepton+jets channel (TOP-13-016). In addition, searches for signs of new physics continue, most recently in the process t→cH, where the Higgs boson transforms to photons (TOP-14-019). Meanwhile, on the Higgs front itself, three new searches have been performed for non-Standard-Model Higgs bosons containing tau leptons in the decay products (HIG-14-029, HIG-14-033, HIG-14-034), while on the supersymmetry front, analyses have been performed looking for dark-matter candidates and other supersymmetric particles (SUS-13-023, SUS-14-003, SUS-14-015). Heavy-ion results from Run 1, utilising proton-proton, proton-lead and lead-lead collisions, include Upsilon (Υ) polarisation as a function of charged-particle multiplicity in proton-proton collisions (HIN-15-003), Z-boson production (HIN-15-002), jet-fragmentation functions in proton-lead collisions (HIN-15-004), and nuclear modification of Upsilon (Υ) states in lead-lead collisions (HIN-15-001). More information: http://cern.ch/cms, or contact: cms.outreach@cern.ch. CMS is one of two general-purpose experiments at the LHC that have been built to search for new physics. It is designed to detect a wide range of particles and phenomena produced in the LHC's high-energy proton-proton and heavy-ion collisions and will help to answer questions such as: "What is the Universe really made of and what forces act within it?" It will also measure the properties of well-known particles with unprecedented precision and be on the lookout for completely new, unpredicted phenomena. Such research not only increases our understanding of the way the Universe works, but may eventually spark new technologies that change the world in which we live as has often been true in the past. The conceptual design of the CMS experiment dates back to 1992. The construction of the gigantic detector (15 m diameter by nearly 29 m long with a weight of 14000 tonnes) took 16 years of effort from one of the largest international scientific collaborations ever assembled: CMS currently has around 2900 scientists (including nearly 1000 graduate students) plus over 1000 engineers and technicians, from 182 institutions and research laboratories distributed in 42 countries all over the world. Geneva/Vienna, 27 July 2015. The world particle-physics community has convened in Vienna for the 2015 European Physical Society Conference on High Energy Physics (EPS-HEP2015), where the latest results in the field are being presented and discussed. These include the first results from Run 2 of the Large Hadron Collider (LHC) at CERN1, which are being presented for the very first time, less than two months after the experiments started to take data at the unprecedented energy of 13 TeV, following a two-year long shutdown. At the EPS-HEP2015 conference, the ATLAS and CMS collaborations presented the first measurements at 13 TeV on the production of charged strongly-interacting particles (hadrons). CMS has already submitted this result for publication – the first for the new energy region. Such measurements are important in understanding the basic production mechanism for hadrons. In addition, the conference is providing the opportunity for all of the LHC experiments to present many new or final results from the first run at the LHC. These include searches for dark matter, supersymmetric and other exotic particles, as well as new precision measurements of Standard Model processes. In this respect, one highlight in Vienna is the presentation for the first time at an international conference of the recent discovery by the LHCb experiment of a new class of particles known as pentaquarks (see press release). LHCb also published today in Nature Physics a result confirming that a certain decay involving the weak force happens with beauty quarks having a “left-handed” spin. This result is consistent with the Standard Model, in contrast with previous measurements that allowed for a right-handed contribution. In other highlights from Run 1, the ALICE and LHCb experiments have new results on long-range correlations in proton–lead collisions. The latest measurements show that the so-called “ridges” seen in the most violent collisions span across even larger longitudinal distances. In Run 2 data, ATLAS reported that the near-side ridge is seen in 13 TeV proton–proton collisions, with characteristics very similar to those observed by CMS in Run 1. The Press Conference of the 27th of July is available here. Michel Della Negra and Tejinder (Jim) Virdee have been recognized for their work on CMS by their respective national physics institutes. In celebration of the award, a full day of seminars followed by a reception will take place at LAL, Orsay, Paris on 14 December. The awards dinner ceremony will take place in London on 5 November.